Following the disastrous collapse of the suspension bridge on January 10th 1889, a meeting of the Board of Directors was called. They immediately placed orders with several rolling mills to provide the materials required to rebuild this bridge. Fortunately for the board, the patterns had not been destroyed at the iron mills and as a result parts were quickly supplied. Work carried on around the clock so that supplies were delivered within 70 days of the replacement order. On March 22nd 1889, construction on the Second Falls View Bridge was commenced. It was to be a duplicate of the first bridge. This bridge was completed and opened on May 7th 1889. The roadway of this bridge was 17 feet wide. The erection work took only 38 days to complete and was only 117 days after the bridge disaster. G. M. Harrington was the construction superintendent and George W. McNulty was the project engineer. During construction, one fatality occurred. On April 21st 1889 at 10:00 a.m., Carmen Mundi was working on the floor of the bridge when he fell 190 feet to his death to the river below. His body was never recovered. The strength and stability of the new bridge was tested during another gale force wind storm during the second week of January 1890. The bridge was substantially damaged but survived intact. Within 10 years, this bridge became the victim of the transportation revolution. 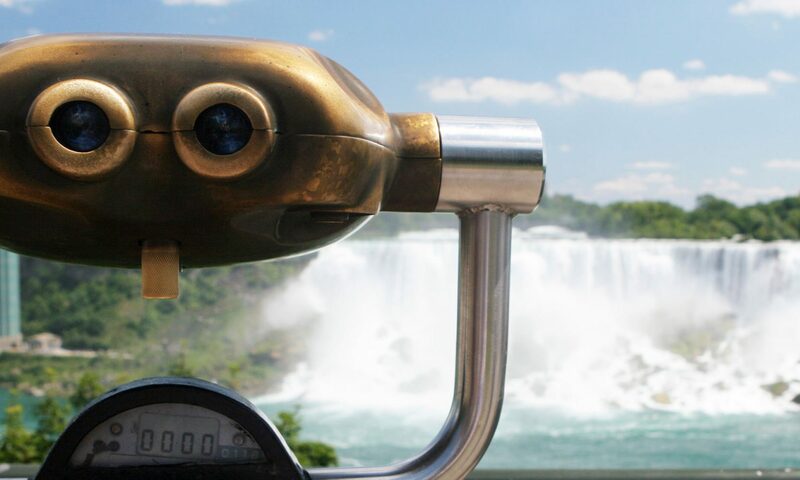 With the development of hydro electric generating stations at Niagara Falls, transportation changed as well. New electric street car/trolleys began service along both sides of the Niagara River. With the construction of electric roads came the demand for an international connection. The electric car was very heavy and none of the bridges crossing the gorge were strong enough to handle such a load. As a result, a decision was made to replace the 2nd Falls View Bridge with an upper suspension bridge with a steel arch.